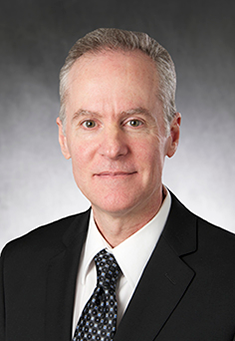 Raphael Hirsch, MD, joined University of Iowa Carver College of Medicine in 2012 as chair of the Stead Family Department of Pediatrics and physician-in-chief of University of Iowa Stead Family Children’s Hospital. Before moving to Iowa, he was chief of the Division of Pediatric Rheumatology at Children’s Hospital of Pittsburgh at the University of Pittsburgh Medical Center. He was also the Aldo V. Londino Professor of Pediatrics and vice chair for faculty development in pediatrics at the University of Pittsburgh School of Medicine. He earned his medical degree from the University of Illinois College of Medicine and completed his pediatric residency at University of Minnesota Hospital. I was always interested in science. When I was growing up, I wanted to be either an astronaut or a doctor. After choosing medicine, why pediatrics? I actually interviewed for residencies in psychiatry, internal medicine, and pediatrics. I decided I was much more interested in treating children. Children have so much potential that is untapped. I thought if I could help [children] through an illness, I could really have an impact. Why did you want to come to Iowa? I didn’t want to come to Iowa [at first]. I was thinking of it in the way that a lot of people do—Iowa has corn and pigs. But I knew about [University of] Iowa’s reputation as a great research institution. And I was curious, so I interviewed. Iowa City is a wonderful community. It’s very diverse and cosmopolitan—more so than you would think for the size of it. It’s a hidden gem that people don’t realize until they experience it. And the work is very challenging and very rewarding. I’ve always been attracted to the opportunity to build programs and transform programs. And this was a once-in-a-lifetime opportunity to transform a pediatric program. With the new children’s hospital being built, the opportunity to help make that happen was very exciting. How have UI Stead Family Children’s Hospital and the Stead Family Department of Pediatrics changed since your arrival in 2012? In the past three years, we’ve recruited 50 new faculty. That’s almost a 40 percent growth, which makes us one of the fastest growing pediatric departments in the nation. Our outreach [satellite] program is growing by more than 30 percent annually for each of the last three years. The communities [where we open clinics] are thrilled to have us. Before, it was pretty common to wait six to 12 months to see a specialist, and you had to come here [to Iowa City]. Now children can be seen in their community and can get an appointment often within a week. Just last year, the children’s hospital experienced an 11 percent growth in inpatient volumes. When I started, our average census [inpatient population] was 50 percent capacity. Today we’re near maximum capacity and are looking forward to getting into our new space. How does being part of an academic medical center affect our patients? We conduct a lot of research. We are in the top 25 departments for National Institutes of Health (NIH) funding nationwide, and in some years, we have been in the top 10. Our research allows us to be at the leading edge of new treatments and diagnoses. Because we do research, we attract the best physicians--we recruit the top thought leaders. And the fact that we are training residents means our faculty is always caught up on state-of-the-art medicine. What makes UI Stead Family Children’s Hospital special? In terms of the quality of the faculty and providers, it’s exceptional. That’s not well recognized by everyone in the state. We have a program where eight out of 10 specialties are ranked in the top 50 nationally by U.S. News and World Report magazine. There is no place in Iowa where you can get the exceptional level of comprehensive care we provide. We are a world-class program by any measure. What do you want people to know about our new hospital? When it opens, it will be one of the most advanced children’s hospitals in the country. The patient rooms will be private, and there will be space for two adults to stay with each patient. It’s 100 percent focused on children and families. Everything—the design, the colors, everyone in the building—is dedicated to children. We will have the ability to provide pediatric nurses, pediatric specialists, pediatric surgeons, pediatric anesthesiologists. There is nothing like that in the state of Iowa.